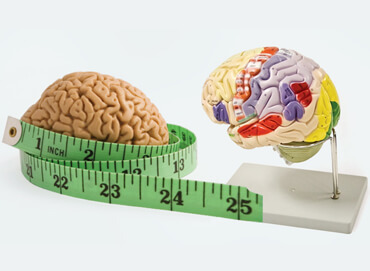 As you can see in the hypothalamus pictures, it measures about the size of an almond or pearl. 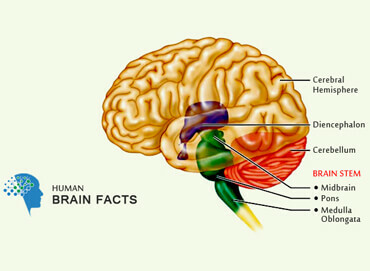 It is an extremely important part of brain in human beings and other higher animals. Hypothalamus constitutes one of the four major components of diencephalon, while the other three are: thalamus, epithalamus and subthalamus. It is intimately associated with the function of autonomic & endocrine systems, formation of behavioral patterns, temperature control, reproduction, and so on. With the help of hypophysis (or pituitary gland), the hypothalamus develops a connection between endocrine system and nervous system in the body. 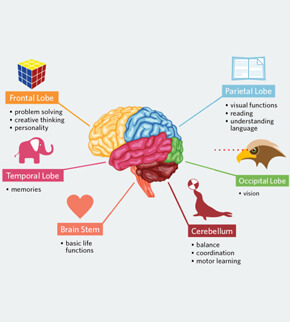 A number of medical conditions have been found associated with this part of the interbrain that may arise out of various factors, and include nutritious, infectious, neoplastic and inflammatory disorders that are manifested by severe symptoms in the victim. 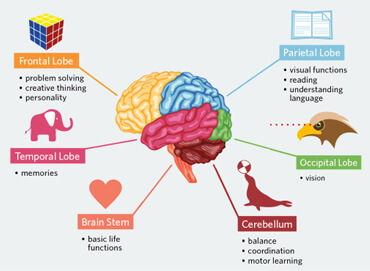 As these problem areas are located inside the human brain, the diagnosis and treatment is not easy. However, if identified at an early stage, the symptoms can be relieved through medication. 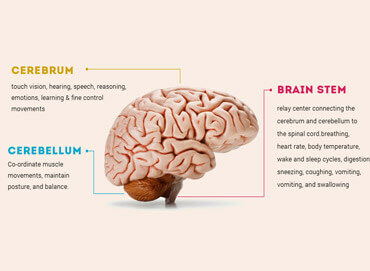 Hypothalamus can be distinguished into three structurally distinct parts, namely, anterior, middle and posterior regions. These regions are alternately known as the supraoptic, tuberal and mammillary, respectively. 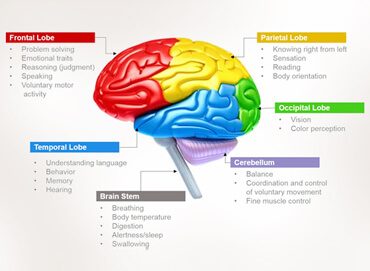 Some less anatomically distinct areas can also be found in this brain structure. All these parts are collectively responsible for the production of different essential hormones and chemical substances that control and regulate the functioning of various organs in your body. It is also known as supraoptic region. As the very name suggests, the supraoptic division is located above the optic chiasm where the most prominent nuclei include paraventricular and supraoptic. Other less prominent nuclei are: preoptic, medial preoptic, anterior hypothalamic and suprachiasmatic. These nuclei are collectively involved in the secretion of hormones, including oxytocin, vasopressin (ADH), corticotropin releasing hormone (CRH) and somatostatin. It is this region where some of the important body functions are accomplished, such as circadian rhythms, thermoregulation, panting, sweating and differential development between sexes. Located at the level of tuber cinereum, the tuberal region is further divided into two parts: medial and lateral. Ventromedial nucleus, the largest and most prominent of the nuclei present in the region, is responsible for shaping and controlling eating habits. Some other functions, like the regulation of blood pressure, heart rate, satiety and gastrointestinal stimulation also fall under the domain of tuberal region. The posterior component is composed of medial and lateral areas. Medial area contains two types of hypothalamic nuclei: mammillary and posterior. These nuclei control the functions, like memory, blood pressure, shivering, energy balance, feeding, sleep, arousal and learning. Two important hormones are secreted by the hypothalamic region of the diencephalon, viz. anti-diuretic hormone (ADH or Vasopressin) and oxytocin. Having its role in the regulation of water content in the body, the release of ADH facilitates the absorption of water in the nephrons of kidney. Oxytocin, on the other hand, plays a role in the sexual reproduction in human beings and other mammals, particularly child birth and ejection of milk from mammary glands. It controls the secretion of hormones from the hypophysis which is an important part of the brain and master secretory organ in your body. 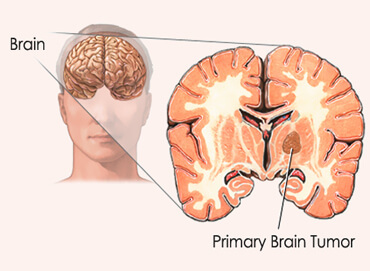 Pituitary is associated with the release of eight essential hormones in the body; two of which are synthesized by the hypothalamus, while the remaining six are produced locally. Some of the other endocrine and exocrine functions of hypothalamus include the control of autonomic nervous system, maintenance of homeostasis, balance of emotions, regulation of hunger & thirst and check over the thermostat of the body. Malnutrition, inflammation, neoplasm, infection or any other condition of this structure not only adversely affects its functions but also causes severe symptoms in the victim. Such signs need to be addressed as soon as possible. Originating from the adjacent structures, like optic chiasm, hypophysis or optic nerves, the benign or malignant tumors spread to affect the organ and lead to hypothalamic neoplasms. The clinical manifestations of the disorder include loss of vision, precocious puberty, macrocephaly and developmental delay. The frequently recommended treatment measures of the tumors include radiations and surgical therapy. Hypopituitarianism is another ailment of brain in which pituitary gland and hypothalamus are integrated with each other, thus inhibiting the hormonal secretions of hypophysis and disturbing all the vital functions of the body that are regulated by the chemical substances produced therein. In this case, your health care provider may suggest hormonal replacement therapy as the disease results in the hormonal insufficiency in the body.